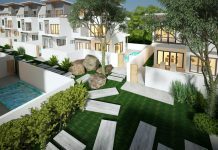 The Sky Villa project from Rochalia Development is a unique concept that has impressed buyers. 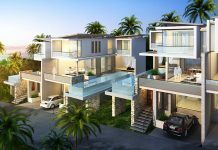 It should come as no surprise that the project comes from the winner of Best Developer Chiang Mai at The Dot Property Thailand Awards 2017. With a total of three phases, Sky Villa is quite different from the cookie-cutter condominiums that are springing up throughout the city. 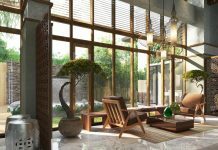 The project boasts beautiful villas with modern facilities set upon the tranquil surroundings of Chiang Mai. Let’s start with the design that brings the best of modern living and combines it with the charm of Chiang Mai that people from around the world love. The developer has used quality materials as well as technological innovations to provide residents with convenience. 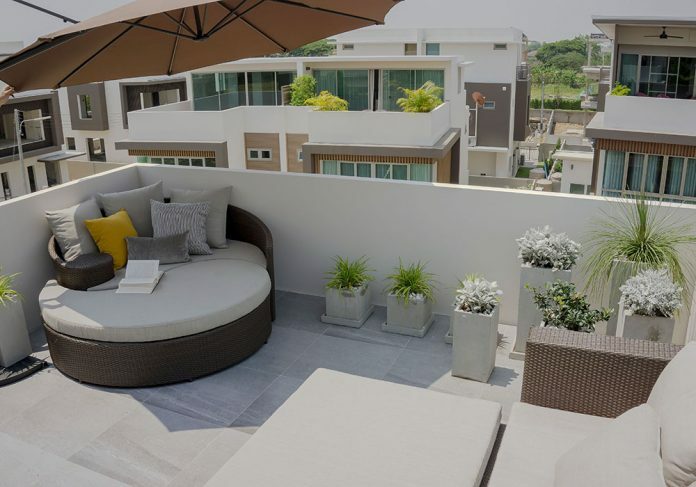 Sky Villa only has 89 units to guarantee privacy for those living here as well as keep the tranquil ambiance the developer envisioned when creating the project. The space is used to create rooms that have the “wow” factor the developer strives for. There is a family/entertainment room that is the perfect place for relaxation or quality time with loved ones. Each villa has several impressive features including Sky Garden, a unique rooftop recreation area for relaxation, parties, barbecues and more. It is the ideal gathering space for friends and family that allows everyone to take in the beauty of Chiang Mai. There is a double wall system in place that both helps keep the house cool all the time plus prevents noise pollution from entering. Rochalia Development uses only premium-grade materials and this can be seen in the windows and sliding doors which are sourced from a leading Japanese brand. Each villa also contains dry/wet kitchens with designer cabinets. The developer has put a lot of time and effort into the facilities at Sky Villa. There is a clubhouse that was designed using eco-friendly concepts. It has an open space with a vertical garden wall that embraces the building. Residents will also be able to take advantage of a fitness room, pool table, foosball table, counter bar and a lounge area with sofas. Saving the best for last, Sky Villa is equipped with a mineral water swimming pool, the very first one at a residential complex in Chiang Mai. The developer is also working on a green park which will have a running track, water pond and a pavilion for yoga or meditation when completed. Even with all of these amazing features and amenities, Rochalia Development kept prices at Sky Villa affordable. It could be argued that no other project in Chiang Mai offers as much value for money as Sky Villa does. 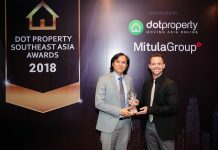 It is one of the many reasons Rochalia Development was honoured as Best Developer Chiang Mai at The Dot Property Thailand Awards 2017.